Are you a fan of happy little trees? In celebration of developing a new landing page for its Creative channel network, Twitch is streaming all of the cult classic painting show ‘The Joy of Painting’ today until November 6. It also happens to be the birthday of the host — landscape artist, squirrel tamer, and owner of cool ’70s shirts Bob Ross. 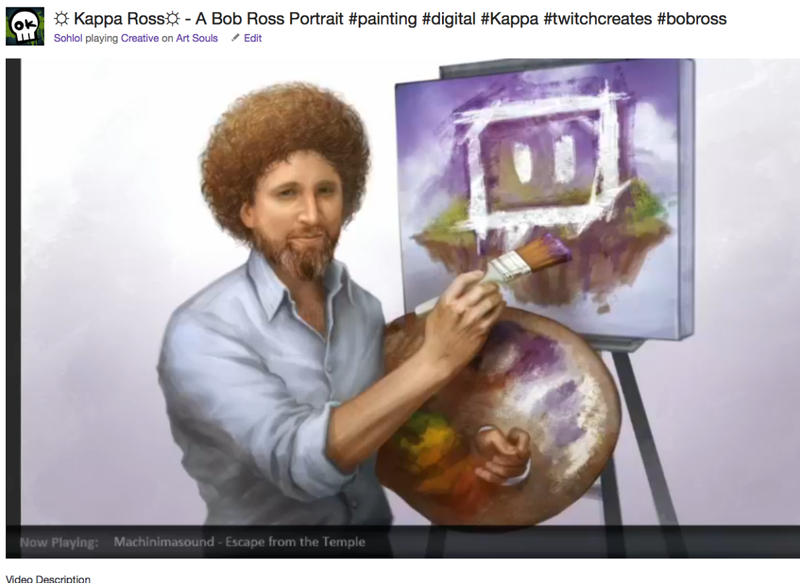 You can watch episodes now on the Bob Ross Twitch channel. The expansion of Twitch Creative not only comes with tv fanfare and a fancy new landing page — the company has also opened up the opportunity for music composers to stream on the platform. All of this content will be managed under Bill Moorier, who has been at the company since 2013 and previously worked for the site’s old parent company, Justin.tv. There will be special spotlights, hashtags, and other support to help artists better create and market their streams. The expansion of Twitch’s Creative community isn’t a total surprise — I noted their presence and rising traction when I attended the company’s first convention, TwitchCon, last month. There’s been a rising number of streamers and viewers who regularly post content documenting the live production of artwork of all kinds. Some Twitch broadcasters even get the opportunity to commission and sell work live as it happens, which is an added way to earn an income from the platform. It’s interesting to see the Twitch community expand beyond games and into something more accessible to a wider (read: non-gaming) audience. I’m convinced that more things like this will be coming from Twitch over time.